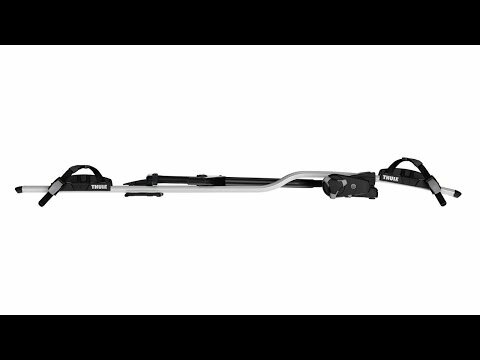 Upright bike carrier for the quickest, most convenient mounting – for bikes up to 20 kg. Automatically positions your bike when you secure it, thanks to the uniquely designed frame holder and wheel tray. Quick and easy bike securing – the torque limiter dial controls the force going into the bike frame with a clear sign of correct mounting. Pressure is spread via large, soft claw pads that adapt to your bike's frame tubes – minimizing the risk of frame damage. Safe mounting – your bike is prevented from falling thanks to the claw's extended lower jaw. Stable wheels – firmly fixed in smartly designed wheel holders with diagonal quick-release wheel straps. Easy, tool-free interface for switching carrier from one side of your car to the other. Fulfills the City Crash norm.